Decade-old childcare policy is affecting the quality of early years education for today’s young children, a report concludes. The Family and Childcare Trust’s Where Next for Childcare? 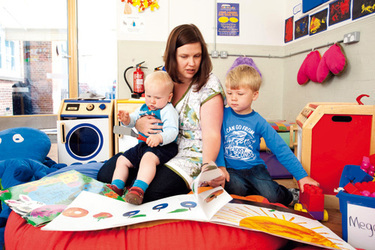 urges the main political parties to make the development of a new childcare policy a priority ahead of the 2015 general election.The report claims that much of today’s childcare policy continues to be based on a 2004 strategy introduced under Tony Blair’s Labour government. ← SCHOOLS, NURSERIES AND FAMILY SETTINGS ACROSS ENGLAND WILL INVITE FATHERS TO JOIN THEM TO READ STORIES NEXT WEEK IN THE RUN-UP TO FATHER’S DAY ON 15 JUNE.